It’s commonplace to credit Edgar Allan Poe with inventing the modern mystery story with his trio of tales featuring the Parisian detective C. August Dupin. Poe’s innovation explains why to this very day the annual awards given by the Mystery Writers Association are called the Edgars. Sir Arthur Conan Doyle freely acknowledged that Poe had 50 years earlier developed the genre that he would perfect in his Sherlock Holmes stories and novels. Luckily for us, Doyle had the sense to exchange Poe’s unwieldy term ‘ratiocination’ for the more graceful ‘deduction’ when discussing his detective’s methods. However, all acknowledge that Poe first hit upon all of the mystery’s literary devices that Doyle, Agatha Christie and every mystery writer since has employed to such great effect: the baffling crime that has the police stumped, the seemingly contradictory eyewitness testimonies, the newspaper accounts that reveal unrecognised truths, the collection and interpretation of clues by the unfathomably brilliant detective, and even the sidekick narrator whose slow wit provides a dramatic pretext for the detective’s detailed exposition that eventually explains the solution to the crime. Still, for all the laurels we heap upon Poe for his grand innovation, we seldom pause to ponder why Poe invented the detective story. This is a question I have considered extensively in my academic work. My close analysis of Poe’s book reviews and his essays about the writing craft have led me to the conclusion that Poe had to be the one to develop the detective story. His unique obsession with finding new and better ways for the author to constrain wilful readers and maintain absolute control over the meaning of a text led Poe to create the detective story as the ultimate remediative form. Mysteries embody their ‘ideal reader’ in the figure of the detective, and if you don’t interpret all the clues in exactly the same way the detective does, the detective corrects you in the end by turning into the author’s proxy and narrating the mystery’s solution. Mysteries literally teach you how to read them. If you don’t read them the way the detective does, you’ve done it wrong. Only Poe could have created the detective story. He was an author who stated that he wanted to have the reader’s very soul under his control during the reading experience. Few writers are so obsessed. Still, inventing a new genre is bizarre, almost impossible. Further, considering how explosive the popularity of crime fiction has been, it stands to reason that if Poe hadn’t hit upon writing such stories, somebody would have. After all, not only is the mystery genre a global phenomenon, but the detective figure has arguably become the ruling archetype of our era. No matter what actual job they do, modern professionals routinely think of themselves as behaving like detectives, at least metaphorically. Doctors try to solve the mystery of their patients’ symptoms to arrive at a diagnosis. Car mechanics and computer gurus use much the same method. Regardless of your career, you’ve probably thought of yourself as doing detective work too. To this day, most mysteries worthy of the name still follow almost every rule that Poe first conceived. In the 1920s, Dorothy Sayers and the Detection Club codified the “rules of fair play” for the genre, and in his 1928 essay ‘Twenty Rules for Writing Detective Stories’ S.S. Van Dine shared these rules with the world. His first injunction is “The reader must have equal opportunity with the detective for solving the mystery. All clues must be plainly stated and described.” From there, Van Dine decrees that the author can’t trick the reader, the crime must be a murder or major theft, the detective cannot be the culprit, and that the detection must be rational and scientific. One of Van Dine’s rules is that the murderer cannot be an animal, a restriction that Poe violates in his very first mystery story, but for the most part the Detection Club rules of fair play can be traced directly back to Poe. In the 1930s and ’40s the mystery genre bifurcates into two separate schools. The British detectives of Agatha Christie, Ngaio Marsh and their like will continue very much in the tradition of Doyle’s Holmes, and of Poe’s Dupin before him; however, the American detectives of Dashiell Hammett, Raymond Chandler and their admirers cede the puzzle mystery to their British cousins. This new hard-boiled American P.I. becomes less cerebral and more focused on adventure, solving crimes with fists, guns and snappy dialogue instead of their intellect. Around this same time, yet another vein of crime fiction begins to develop. 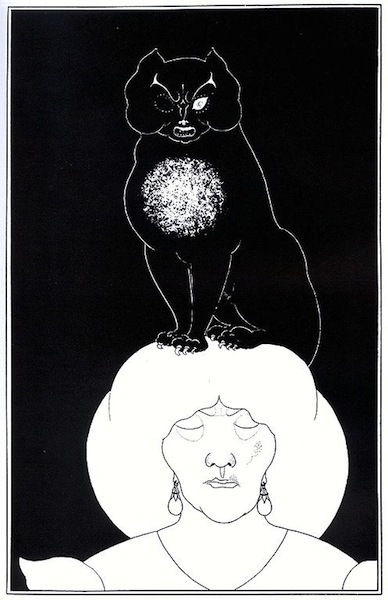 This one also harkens back to Poe, but it finds its models in Poe stories like ‘The Tell-Tale Heart’ and ‘The Black Cat’, tales told by chatty psychopaths who compulsively confess their crimes. With his first three novels, a remarkable trio of masterpieces, American writer James M. Cain establishes himself as the greatest of noir writers. His novels The Postman Always Rings Twice, Double Indemnity and Mildred Pierce for the most part do not concern themselves with detectives or police. Cain isn’t interested in solving crimes. Instead, he focuses on the criminals and explores their psychology. If justice is served in a Cain novel, it arrives as a function of fate or mere bad luck. Later writers like Jim Thompson, Patricia Highsmith and John D. Macdonald make Cain’s noir tradition even blacker, if that’s possible. Contemporary masters of crime fiction on both sides of the Atlantic – authors like James Ellroy, Susan Hill and Denise Mina – manage to weave a strong noir sensibility into more traditional detective stories. Other contemporary writers like Megan Abbott, Ray Banks, David Corbett and Dennis Tafoya have continued to breathe new life into the noir subgenre. Gillian Flynn’s runaway bestseller Gone Girl discovers an amazing new take on the noir novel by allowing its femme fatale to narrate the story herself (in tandem with her sap of a husband). 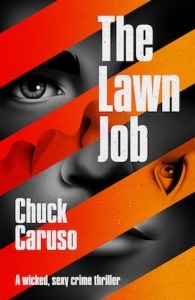 Published this month by Cloud Lodge Books, my debut crime novel The Lawn Job represents my own attempt to bring noir into the 21st century via texting, legalised marijuana, heavily armed militias and a broader spectrum of racial and gender identities than we have historically seen in crime writing. I’m delighted that readers seem to be enjoying the novel – both its brisk, twisted plot and its contemporary flourishes – but I’m also very aware of how I and the rest of the crime-writing community owe a tremendous debt to Edgar Allan Poe’s innovations. Those of us with a dark turn of mind are all still working in his enormous shadow. 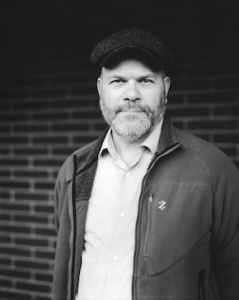 Chuck Caruso is a 19th-century Americanist and Edgar Allan Poe scholar, and an adjunct English professor at Marylhurst University and Clark College in Oregon and Washington. His horror tales have been published in Cemetery Dance, Shroud and Dark Discoveries, among other print magazines and anthologies. His western noir tales have been published by The Big Adios, Shotgun Honey, Flash Fiction Offensive, The Western Online and Fires on the Plain. The Lawn Job, his first published novel, is out now from Cloud Lodge Books.